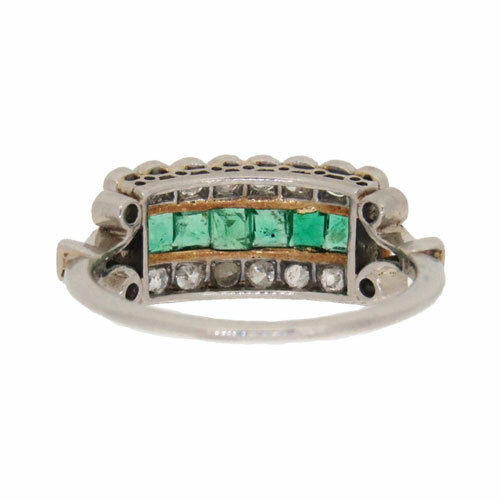 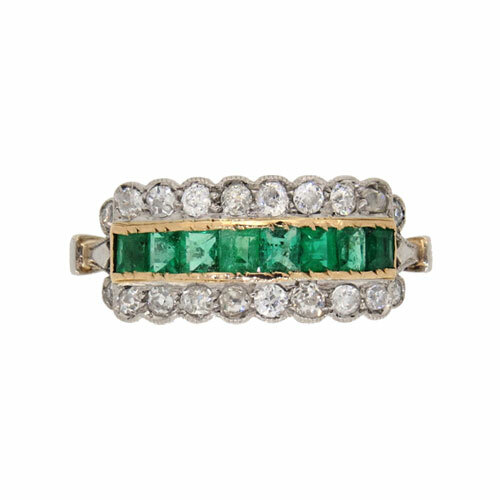 A fine quality Edwardian triple row Emerald and Diamond half hoop ring comprising a central row of 8 trap cut emeralds and two rows of 8 old brilliant cut diamonds. 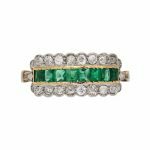 Millegrain setting with each shoulder set with 2 old brilliant cut diamonds. 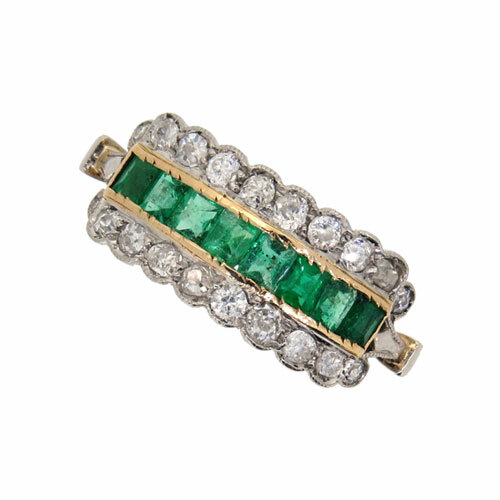 Emeralds rubover setting in yellow gold mount tested as platinum.